What’s the Project? 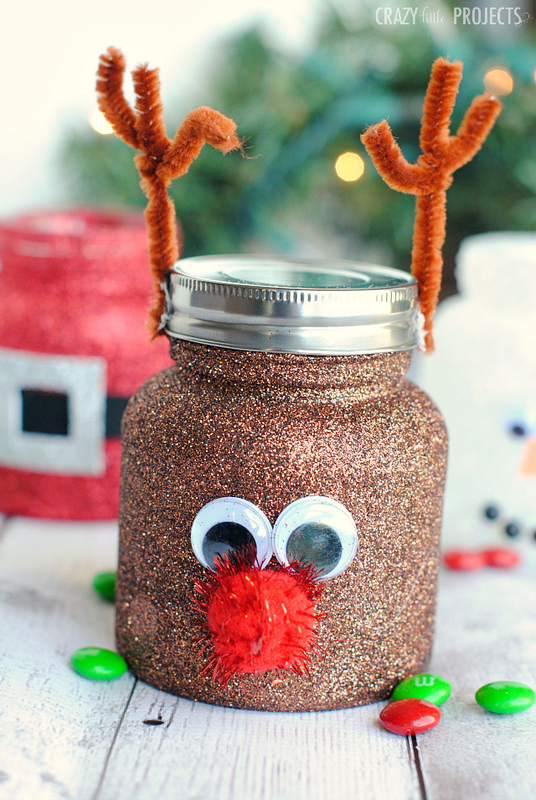 This cute Christmas cookie jar gift idea is a fun gift for a family or for someone who loves to bake! 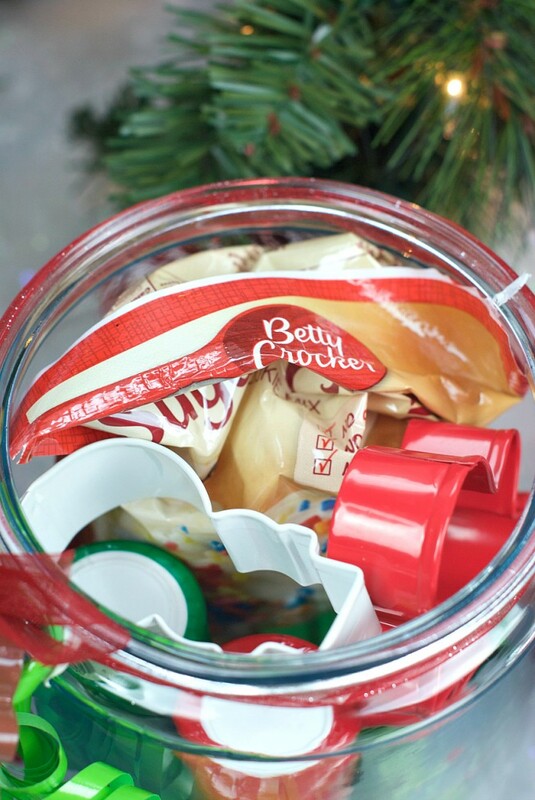 Fill a cute cookie jar with cookie cutters, sprinkles, cookie mix or other fun baking items and you’ve got a great Christmas gift! Have you entered the world of Christmas yet? I admit that I am fully there and ready to celebrate. In fact, I just colored Santa pictures with my five year old. Although usually by now I am well on my way through shopping and I haven’t started yet this year. Yikes! How about you? How are you coming? 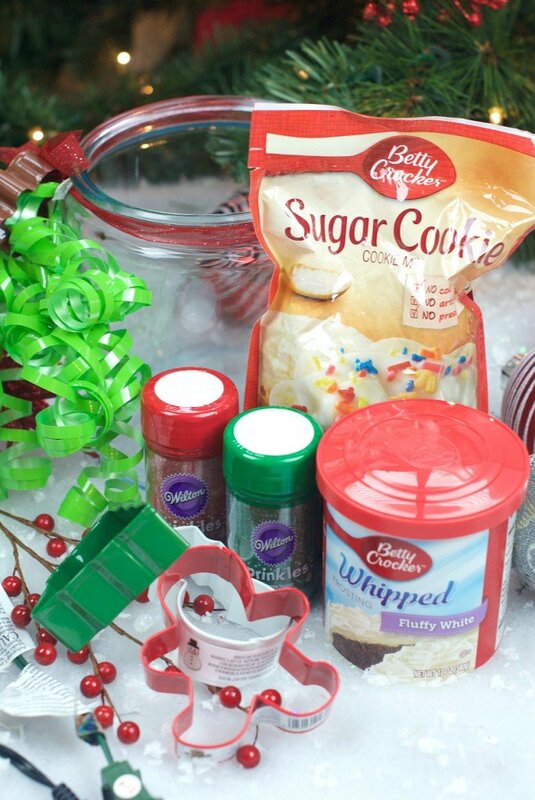 Here’s a simple little cookie jar gift idea for Christmas that you could put together for someone on your list. 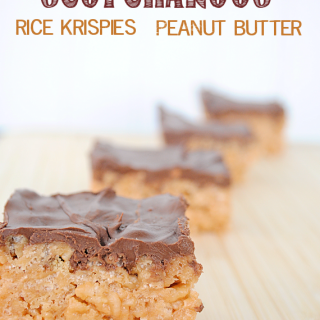 It could be good for a neighbor or a friend! You can put anything in it that you want, but the idea is that you give them all the fixings to make cookies with their family. A super cute present to receive. Want to make one of your own? Here are some details. What else would you include? You could do Dish Towels, Spatulas, rubber scrapers, anything else you’d like. 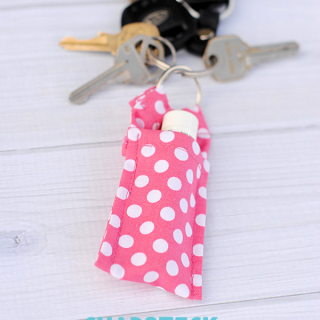 And, here’s my favorite touch, I tied a tiny cookie cutter to the outside just to make it extra cute! Such a simple and easy present to pull together right? And I think it would be fun to give and to receive. 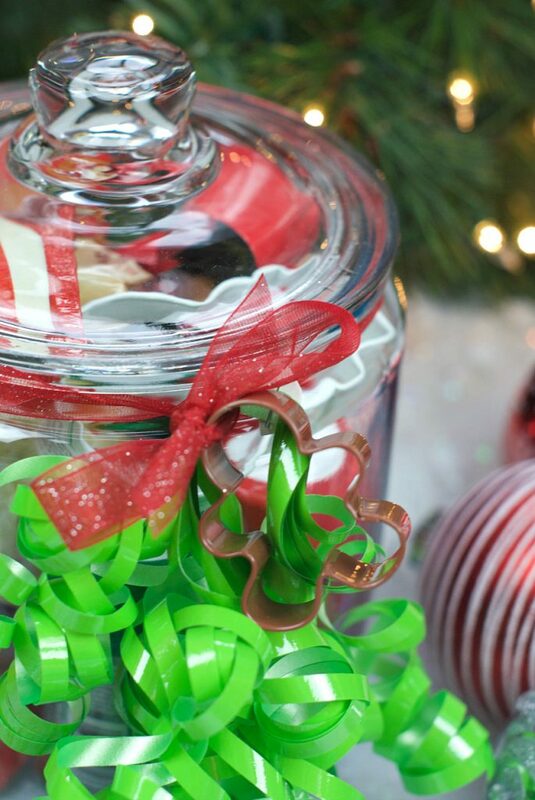 OK, who are you going to give this Christmas cookie jar gift to this year?! « Nothing Bundt Grateful for You! Very cute! 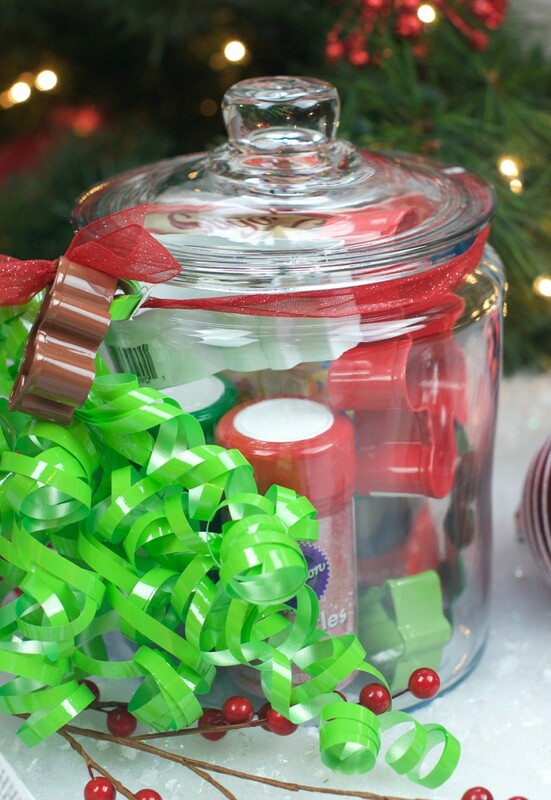 Love “in a jar” gift ideas. 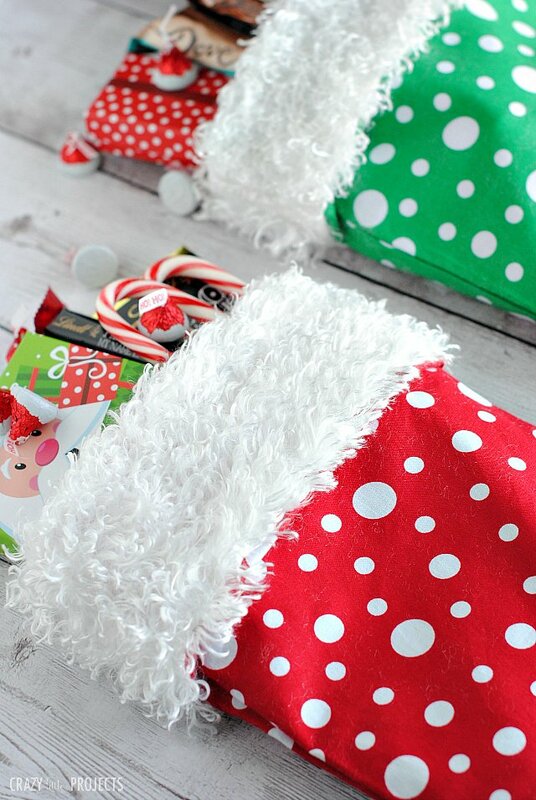 This is such a sweet cute idea (no pun intended!). I love a useful present that’s also a little bit special and will get the kids involved.